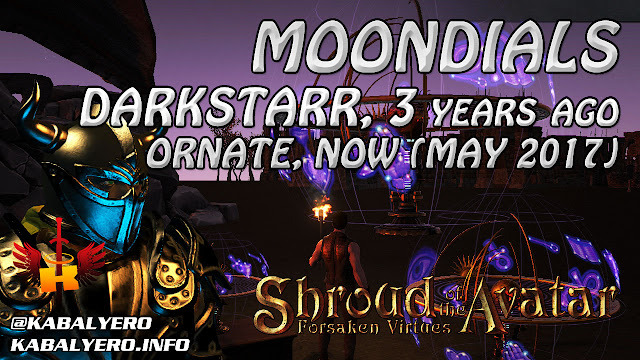 Darkstarr Moondial, 3 Years Ago & Ornate Moondial, Now (May 2017) - KABALYERO - PLAY, BLOG & EARN! Shroud of the Avatar has a really cool feature and that is Astrology. Yes, the stars, the planets and other heavenly objects in the sky of the game have meaning or purpose and to learn them you'll need a moondial. Astrology in Shroud of the Avatar makes the moondials functional and not just an ordinary static decoration Avatars place in their homes.